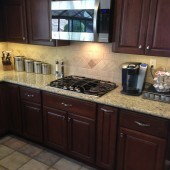 Most homeowners believe handling a kitchen remodeling project on their own will save time and money, and the Do-It-Yourself Centers sure make it sound easy! 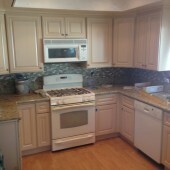 But the truth is, the kitchen is one of the most difficult projects for a novice renovator to undertake. 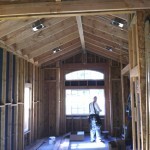 Unlike other rooms in the house, plumbing, electrical, design and construction factors dramatically affect the outcome. Where painting a bedroom is a task most people can handle, even painting a kitchen requires removal of grease and oils, proper preparation, and attention to detail to avoid big problems down the road. At DeLapp Builders, our goal is to give you the beautiful family gathering and meal preparation workspace you’ve always wanted, without leaving behind annoying, and even dangerous, inconveniences. There’s nothing worse than having to rush to clean up spills because your warping countertop runs right onto your new flooring, or having to recaulk around the sink every time you clean. 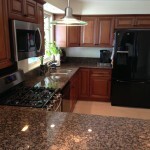 Properly completing kitchen renovations truly does save you money, time and frustration in the long run. And, IT’S AFFORDABLE! In most cases, DeLapp Builders can give you the new professional quality kitchen you’ve always wanted for much less than you’d expect. Our affordable renovations are designed to keep you right-side-up on home value and equity, meaning you’re not spending more than the value of the upgrades when you sell. Spending too much on a kitchen remodel can actually lower the equity you have in your home, costing you more than you can recoup down the road. We welcome you to discuss your goals with us so we can assist you in understanding how to increase the value of your home and maintain your equity, while bringing your kitchen up to date.